Barter Books : Chapman, John W M [ed.] 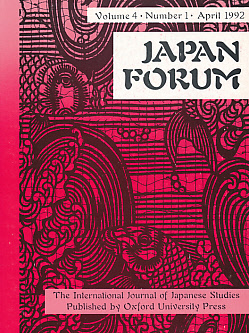 : Japan Forum. The International Journal of Japanese Studies. Vol. 4. No 1. April 1992. 250 x 190 mm (10 x 7 inches) - 227pp. Published for the British Association for Japanese Studies.